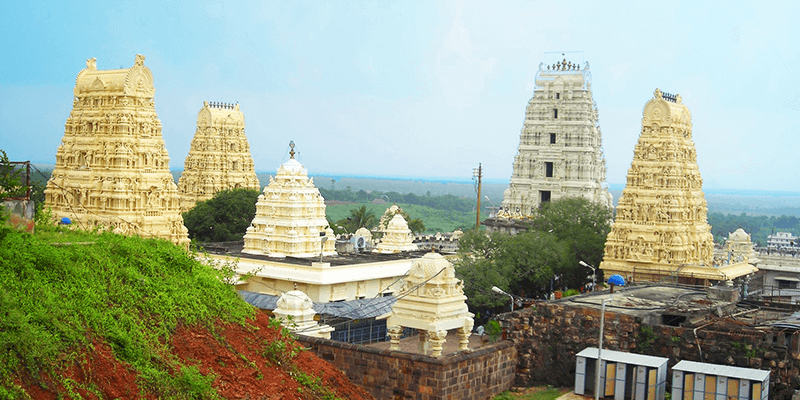 If you are looking for a calm and composed break from your usual life, the serenity and ancient architecture of Chittoor district points of interest will definitely leave you astonished. Chittoor city, a nascent destination located in Rayalseema region of Southern Andhra, is best known for its proximity to Tirumala Shrine. Chittoor lies on the banks of Ponnai River, located along the NH4 (which links the major metropolitan cities of Bangalore and Chennai). The general elevation of Chittoor’s mountainous parts 2500 FT above MSL. 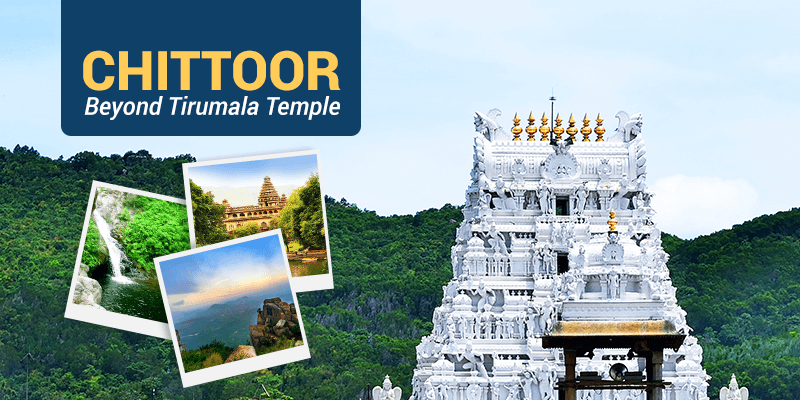 Chittoor tourist places are primarily known for its pre-historic sites and holy places, but the town has plenty to offer for the adventurous minded travelers. As we learn from the Chandragiri Fort history in Telugu: this was the 4th capital of Vijayanagar empire. Rayas shifted their capital here when Golconda sultans attacked Penukonda. In 1646 eventually the fort was annexed by the Sultans and subsequently fell under the Kingdom of Mysore. The Raja Mahal Palace is now an archaeological museum. The palace is an example of Indo-Sarcen architecture from Vijayanagar period. 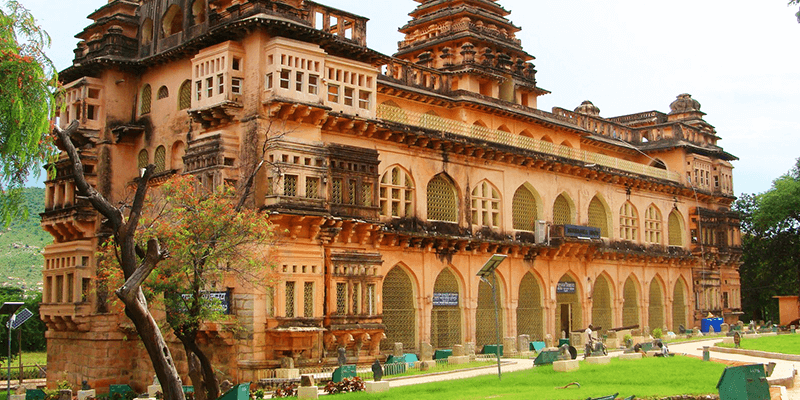 The palace was constructed using stone, brick, lime mortar and devoid of timber. The fort also encompasses eight ruined temples of Shaivite and Vaishnavite pantheons. The crowning towers of these temples symbolize the Hindu architectural elements. The Tirupati Balaji temple is placed about 120 KM east of Chittoor town. This temple is dedicated to Lord Sri Venkateswara, an incarnation of Vishnu, who is believed to have appeared here to save mankind from trials and troubles of Kali Yuga. The Temple bears Dravidian architectural style and is believed to have been constructed sometime around 3rd century AD. The presiding deity, Venkateswara, is seen here in standing posture and faces east. The Temple premises has two modern Queue complex buildings to accomodate the pilgrim rush. The Tarigonda Venkamamba Annaprasadam complex offers free meals to all pilgrims. Apart from this, there are the hair tonsure buildings and a number of pilgrim lodging sites within the campus. It is the richest temple in the world in terms of donations received and wealth. The temple is visited by about 50,000 to 100,000 pilgrims daily (30 to 40 million people annually on average), making it the most-visited holy place in the world. Horsley Hills or Horsley Konda is a series of hills in the Madanapalle taluk of Chittoor district. It is about 150 KM west of Chittoor town. 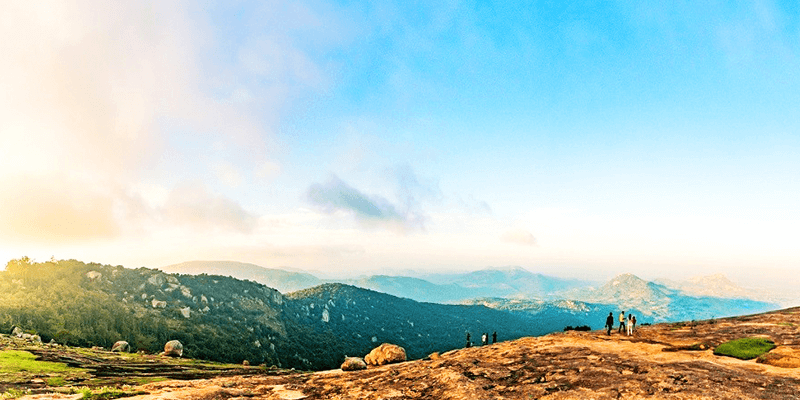 The local name of the hill was Yenugu Mallama Konda, after a legend of a saintly old woman named Mallamma who lived atop the hill and was fed by elephants. W.D. Horsley, a British collector, built his home here around 1870 and soon the place name was changed. The green and cooler climate of Horsley Hills is quite contrasting to the dry, hot and barren surroundings. Over the years Horsely Hills has become one of the leading tourist spots of Andhra Pradesh and its fondly called today as ‘Andhra’s Ooty’. 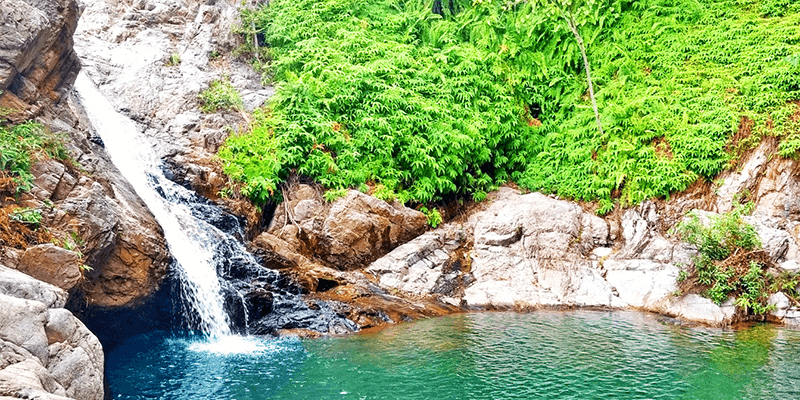 In terms of Kailasakona Waterfalls location in Chittoor, Andhra Pradesh let us tell you the falls is situated in Nagari Valley, about 72 KM East of Chittoor. This is a perennial waterfalls with an interesting story behind them. Legend has it that Lord Kailasanatheshwara performed the marriage of Lord Venkateshwara Swami and Goddess Padmavati here. The water is crystal clear, rich with minerals and is believed to have medicinal value and healing effect. Best views of this awe-inspiring waterfall can be experienced from the foot of the falls. Note: Bathing is a special attraction here. Image used in listing does not belong to Chittoor. This error in internet too. walajapet Ranipet n Arcot regarding info pl. my name is Sambamurthy. I am very impressed read your articles Tirumala Tirupati. Very good Photography is there. Nice tourist places you are gathering in India. Thank you.